Pablo Picasso is a famous artist. He is known for creating amazing paintings and sculptures. He was able to make these things because he worked hard for his whole life. People are not just born good painters. They have to practice, because practice makes perfect. Practice makes perfect means that to be good at something, people must practice for a very long time. For example, not everyone can be a professional soccer player. Only people who spend hours playing every day for their whole life can play for famous teams. That is because practice makes perfect. If you want to be good at something, make sure to spend a lot of time doing it. 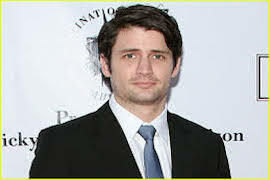 Actor James Lafferty thinks that being good at acting is just like being good at any other job. He says you can be good at anything you want, as long as you practice, because practice makes perfect. Do you agree that practice makes perfect? What do you like to practice? Doing things in times cause to do something in a great way. "Practice makes perfect" means the more you do something the more you master it. I think as some said here that affection has a big role in perfection. You like something, then you’ll practice for it over and over and practice makes perfect. I don’t know if that helps, but if you have a powerful motivation, maybe you can neglect boredom every time you remember why you are practicing or what you are working for! it is necessary to practice,when you want to do things perfectly. And every one knows that. But the problem is that practice itself is kind of boring. Like, i can pracitce English for just 10 minutes, but if i pracitce it for 30 munites or more, i get bored. Or if i practice it every day, it is definately a big challenge for me. It’s because i lack persistence. OK, maybe i should not make excuses, but i just cannot practice things over and over. oh, who can help me? Yes “Practice makes perfect” but if you love what you do and you know what you want! I see some people who are active on ebaby for years but they are not perfect in English yet! Guys, I enjoyed all of your comments. You guys make perfect. Your comments make perfect. Your language skills make perfect. In all cases, practice is the key to perfection. But, how long I need to practice depends on how much I am interested. It’s absolutly true that practice makes perfect. As a prefessional music composer, I spend lots of hours on learning how to mix and record music with software. There have been several “A-ha” moment that I started getting more familiar with technique and skills. There is no “shortcut” for mastering something! You got to practice everyday!! Perfection is 20% inspiration and 80 % perspiration.Although not always practice makes perfect , it is true that we must strive to reach attainable goals . I could have played soccer endless hours and yet i know that i wouldn`t had been a professional because I lack the inborn talent to stand out in the league. In the theoty you need 10 000 hours so that be a master in every domain. Rome wasn’t bulit in a day.I totally agree with it. Nothing comes easy without hard work.It is easy to say but hard to do.There were many things that i had given up such as painting , swimming…Sometimes i try to image that how good it would be if i kept practicing. Practice makes perfect …certainly it is true…but not enough .. Anything that I am good at depends on I’ve done over and over again, and more practicing like walking, riding, driving, speaking, writing and lots of things! There are a lot of things I want to be perfect on them, writing, reading, speaking and listening English, playing one of musical instruments, painting and … but I have no enough time to do them and practice or start to do! And also there is no way to be good at them except practicing! i really agree with this issue that practice more and more makes everyone perfect and succeed..if you would like to be goodone for everything and everysituation,you should do practice hardly day-to-day!! Practice makes perfect means. Doing something over and over makes one better at it. I do strongly agree that practice makes perfect no matter where you want to be good at. To get perfect results in something we should never give up but “polishing and polishing ” our skills in our favorite hobby, sports, job you name it. As I am commenting on linguistic site (English, baby!) right now , I am saying that foreign languages need a daily practice more than anything. I know, that if I don’t speak English, or don’t write in English, or don’t read in English, or don’t listen English speech at least day or two my knowledge in English started to fade away. Foreign languages can be forgotten very quickly if we don’t use them.